We began running live-aboard dive trips in 1982, off the remote coast of Western Australia. We expanded our diving interests into Indonesia a few years later, when we began exploring the outer islands of Sulawesi and the Moluku Islands. 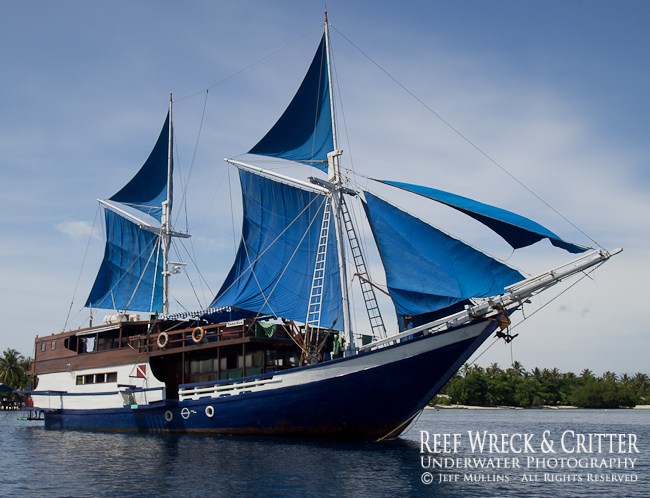 In 2007 we began escorting underwater photo live-aboard trips in the Komodo National Park in eastern Indonesia. Since then we have also added North Sulawesi, Raja Ampat, Flores to Sumbawa, Komodo, Cenderawasih Bay and the Solor & Alor archipelago's as well as some other exploratory destinations in eastern Indonesia. These trips are timed to coincide with the times of year that generally provide peak diving and underwater photographic conditions. 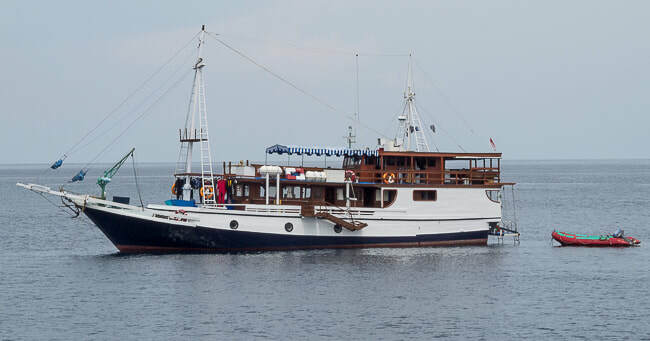 The trips are organised to allow mimimum travelling onboard the live-aboard vessel, with no overnight travelling, and no long drawn-out boat journeys. We cater for small groups of divers, with a maximum of 10 guests onboard. We fly out of the Airport on Denpasar, Bali to Flores for our Komodo trips. From Bali to Sorong for our Raja Ampat trips. From Bali to either Labuanbajo or Bima for our Sumbawa to Flores trips, and Bali or Singapore to Manado for our North Sulawesi trips. We meet the live-aboard at a pre-determined location, always as close as possible to the destination airport for the least amount of overland travelling. We make all arrangements for the flights, boat and all diving. All you need to worry about is you .... and your camera equipment! Jeff offers FREE underwater photography help to all guests, plus offers FREE evening tuition with Adobe Photoshop or Adobe Lightroom. So any problems you may be encountering with a particular aspect of your underwater photography, should be discussed with Jeff during the trip. He will then do his best to help you personally. Don't be detered if you shoot with a compact camera, around fifty percent of the people that join our trips shoot with compact underwater camera's. The other fifty percent shoot with a mix of mirrorless, dSLR or video. We can help you no matter what type of camera you shoot with. We only cater to experienced divers, as many of the dive sites we visit are in open-ocean environments and we do experience currents. But we also time our trips to coincide with the smallest tidal fluctuations at our destination, so we don't experience the stronger currents that these areas are often re-known for. Our emphasis is on the quality of dives we conduct. 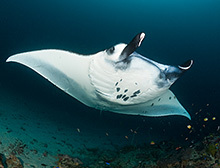 We mostly offer 4 dives a day, (3 day & 1 night dive). But you won't be harassed into cutting dives short or when you reach a minimum tank pressure. You can make your dives as long as they can safely be conducted. We don't accept divers with less than 100 dives, and of these we'd like to see that you have at least 10 dives in open ocean, current conditions. As we may experience strong-unexpected currents on some dive sites (particularly in Komodo, Sumbawa, Alor & Raja Amat). We also don't offer 5 dives a day, if you are looking for this, then please contact one of the mainstream live-aboard operators, who will restrict you to 40 minute dives and 50Bar minimum tank pressure. Then you will be able to fit 5 dives into a day! We offer experienced divers the ability to conduct longer dives, if they are able to do so safely and without requiring decompression dives. 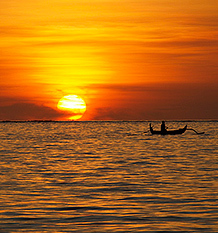 Our trips are all about diving, photography, fun, relaxing, exploring and discovering. 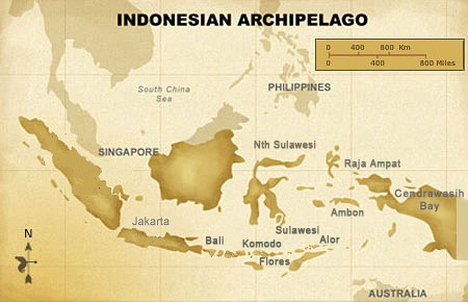 Did you Know, that Indonesia has the longest coastline in the world, with 100.000 kms long? Did you Know, that there are 17,508 islands in Indonesia, which is the largest Archipelago in the world? Did you Know, that of the 17,508 islands, only 6,000 have a name, and only 1.000 are inhabited? Did you Know, that there are 25% of the world's coral reefs in Indonesia? Did you Know, that of the 4,500 species of reef fishes existing in the oceans worlwide, around 3,500 of them have been identified in Indonesia? Did you Know, that Indonesia has the biggest underwater biodiversity in the world?